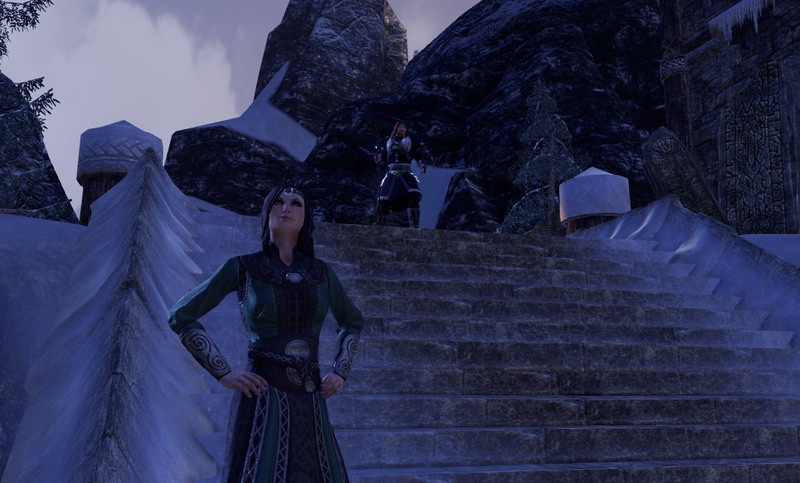 As the days grow short and the lean months are upon us, Windhelm looks forward to the annual holiday of the North Wind's Prayer. The temples traditionally open their doors and offer their services and blessings at half price. 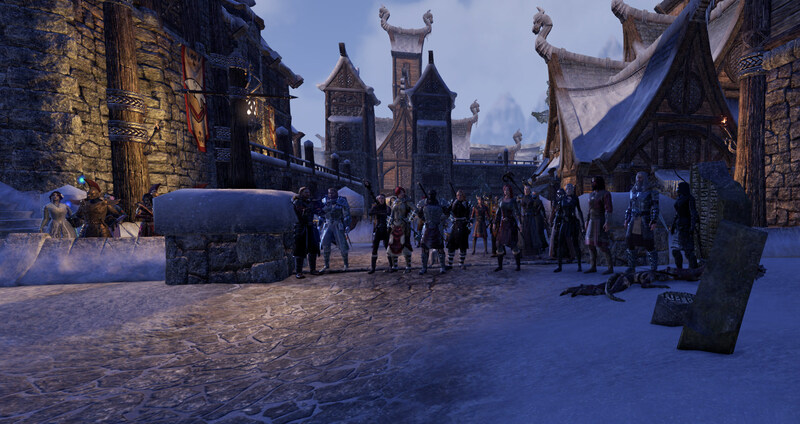 This year, the city of Windhelm is holding a gathering to give thanks for the success of the harvest just past (or at least to offer the traditional consolation that "It could have been worse,") and look ahead to the winter. IC: This year, Windhelm is celebrating the festival on Loredas, the 15th of Evening Star beginning at the Twentieth-and-half hour of the day. At the strike of the Twenty-first hour, a brief invocation will be given at the Shine before moving out to some seasonable games; in this case, a Turkey Shoot and Competitive Boasting. Come and partake in the lavish bounty of the year’s harvest offered by local Clans and join in the revelry and comradery of friendly competition! OOC: Event held on Saturday, December 15th, starting at 8:30pm EST. It will begin by the Shrine to Ysgramor in Windhelm at approximately 9:00pm with a brief invocation before the games begin near the merchant square by Oaken Hull’s Emporium. 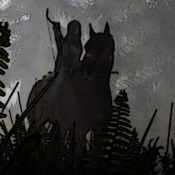 Local guilds and clans from the Skyrim community will be present with samples of fare from this year's harvest. ** Times subject to change depending on the flow of RP. Bards and Skalds encouraged to attend and add to the atmosphere!! Which isn’t really shooting turkeys. Instead, pumpkins will be your target. And don’t fret about waste, all shot pumpkins will be turned into pies. Each contestant can either use their own bow if they have one, borrow a friend’s, or be offered a “practice” bow from a nearby rack (will provide low level bows to those that don’t ICly have one). Contestants will stand in line approximately 20 meters away from the “target” which will be perched atop a post. Each contestant gets their own pumpkin to shoot at. NPCs will be on hand to keep a steady supply of pumpkins in place for each round. Depending on how many people sign up, groups of participants will be formed. Size of the groups will depend on overall number of participants. Using RollCall addon contestants will roll d20 as a group: 17 or better hits the pumpkin in the “center”. Then everyone gets to emote one round. Those missing their mark (rolling 16 and under) will be eliminated from competition, but that does not mean the fun ends. By all means heckle the remaining contestants to break their concentration and possibly falter their aim. Those still competing will roll again and emote again until there is a final winner. In the event of a tie, the one with the higher scoring roll wins. Three non-participants from the audience will be chosen to help judge the contestants. Each contestant will step forth and proclaim their boast. Each contestant gets five (5) minutes to post their boast (maybe subject to change depending on number of participants). After all boasts have been posted, the judges vote on the winner. Working on your boast ahead of your actual turn to post is encouraged, so have NotePad or a Word doc open to pre-type and then be ready to copy/paste when your turn comes around. This really speeds things up and if we have time, we’ll try to get through multiple rounds of boasting. Your boasts will be judged on creativity, humor, and bravado, so get your posts typed and ready as you wait your turn. Scores of 1 to 5 (5 being highest) will be given to each category of judging for each boast. The contestant with the highest overall score wins that round. PRIZES will include pumpkin pies, lots of mead or ale, in-game gold and bragging rights! Port to @RaynaZ in game for phasing the day of the event beginning at 8:00pm eastern US time. Ohhh sounds like fun! I will try and drop by! Details about how the Boasting Contest will be judged added to OP. 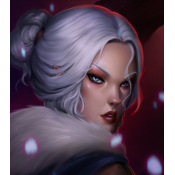 Warrior-Widow, The mother of Men! To meet you, The Kiss at the End! Managed to nab a few screenshots from this year's festivities. A HUGE thanks to all who attended and congratulations to the winners of the contests!! See ya'll next year!! 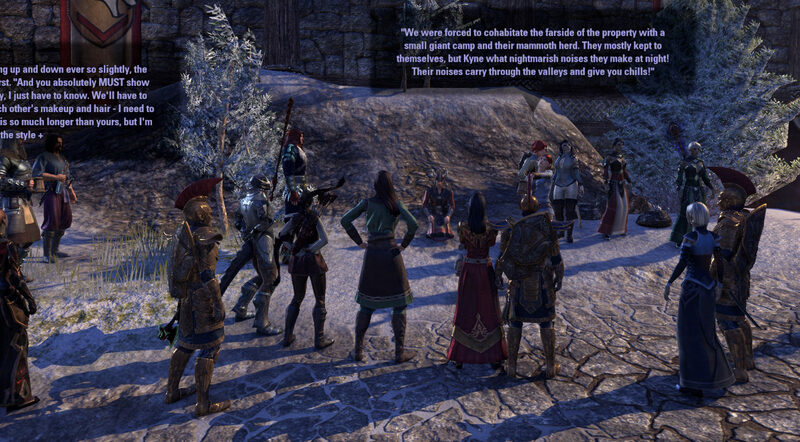 The crowd gathers near Ysgramor's Shrine. Reinhaldr Calinbrach and Svenja Wolf-Eyes officiate the festivities. 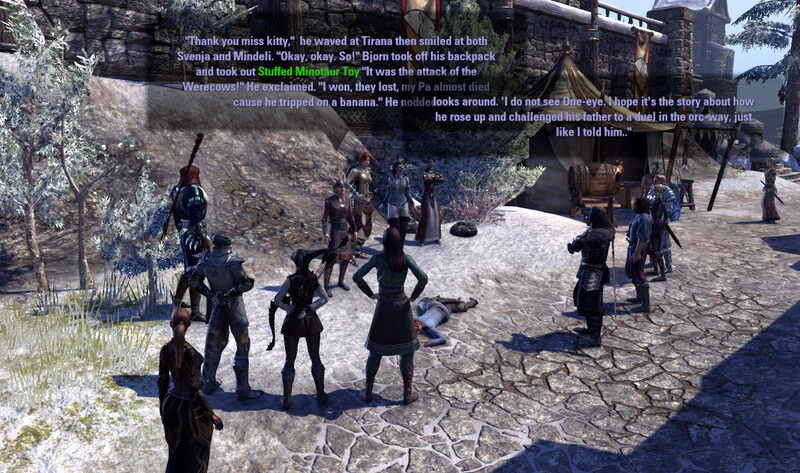 Nords exhibit their pride during the invocation to the Gods. See hymns in the post above for what was recited during the invocation. The Hymn to Kyne always gets the Nords' blood pumping. A wide variety was in attendance to take part in this annual celebration. Good ole fashioned "turkey shoot". FYI - no turkeys were harmed during this competition. Some tall tales were shared and more than a few laughs had. Judging of the boasting contest was not an easy feat. But one participant stood apart from all others.